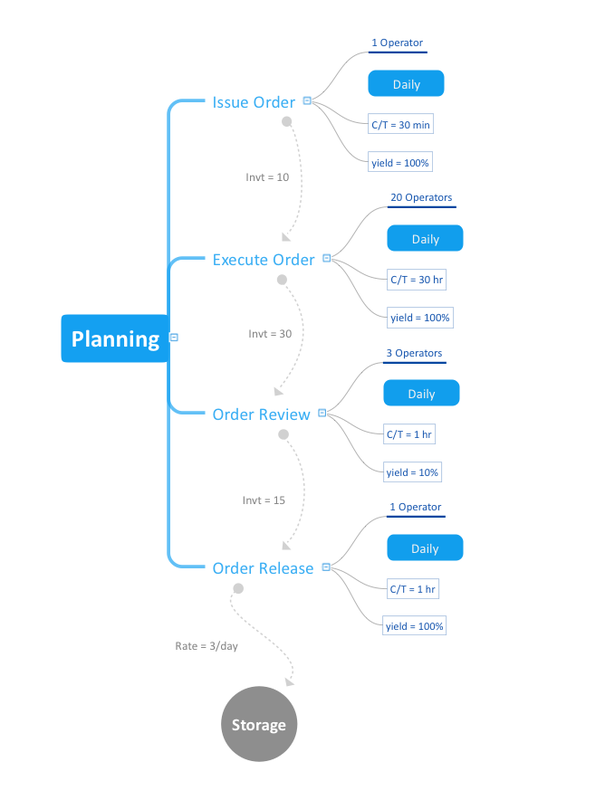 The Quality Mind Map Solution extends ConceptDraw MINDMAP with the addition of a number of Quality Management Mind Maps (Presentations, Meeting Agendas, and problem-solving techniques). These map templates are great starting points to identify, track, and address quality initiatives in your organization. Pic.1 Mind map - Value stream mapping (VSM). Lean Manufacturing tool is a new Value Stream Mapping solution found in the ConceptDraw Solution Park. Create Quality Engineering Diagrams (value stream maps) - for value stream analysis and value stream management, material and information flow mapping, using our quick start templates included with ConceptDraw. ConceptDraw MINDMAP v10 supports exporting to many Microsoft Office products, including Word, PowerPoint and Project, as well as exporting to Evernote, Apple iCal, PDF, HTML and graphic format files.